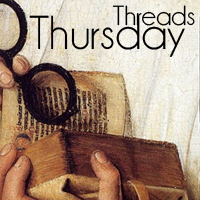 Historical Tapestry: Thursday Threads - What and Where are You Reading? Thursday Threads - What and Where are You Reading? Well, another week has just flown by, where does the time go? On Monday the book group I attend every month met up and discussed the last book which was The Behaviour of Moths by Poppy Adams. You can check out my review HERE. As always the discussion that flowed through our meeting was informative and interesting and left clutching next month's book, which is proving to be very interesting and enjoyable. The book in question is The Last Mughal by William Dalrymple. This is actually a non fiction book and was not selected by me, so I am quite intrigued to discover who in the group chose this title. As regular readers will note I am fascinated in India especially on the period pre Independence. This is fuelled by my family connection to the East India Company. This weekend in the UK is a day extra as Monday is a public holiday. The forecast for the weekend is looking promising, or it least it was this morning, so I plan to get some reading done as the Last Mughal is a little over 600 pages. What and where are you reading this week? I'm reading Vlad: The Last Confession set in Wallachia or modern day Romania with a few scenes in Turkey. 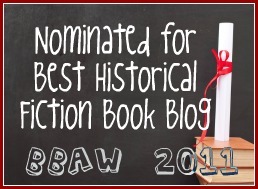 It's a historical fiction novel about the man that inspired the Dracula myth - so basically, impaling occurs, but no blood sucking or vampires. In our book club, we are just starting "A Secret Gift" by Ted Gup (http://www.asecretgiftbook.com/book/). I'm excited to read this story of a man who puts an ad in an Ohio newspaper during the Depression (1933) offering $10 each to 75 needy families. The man's grandson researched those families and wrote the book. Katharine, that sounds a great book. Thanks for posting the URL - I shall have a look.